As Eleanor says, though, there are two sides to the story. 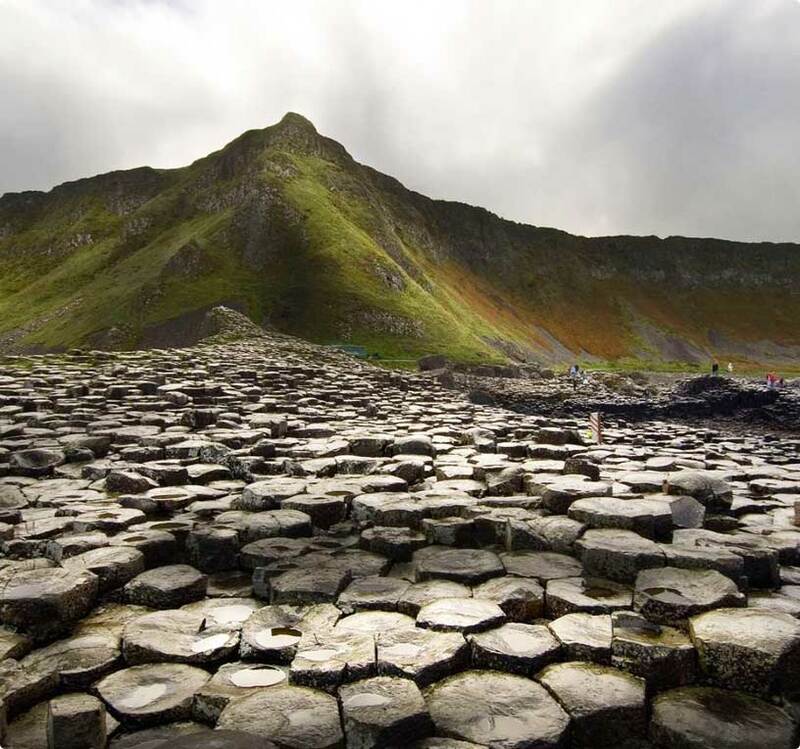 “The Giant’s Causeway is the aftermath of volcanic crashing, burning and cooling,” Eleanor explains. “An epic 60-million-year-old legacy to lava. Over 40,000 basalt columns. Interlocked. “It’s no wonder this place is a Unesco World Heritage Site because beyond the mindboggling beauty, the Causeway is our portal into Earth’s most ancient past,” she concludes. Whatever you choose to believe, there’s no disputing that the Causeway makes a pretty picture. Thousands of tourists click their cameras here every year, and when the Olympic Torch visited Northern Ireland, it was a photo opportunity not to be missed. Director Ben Joyner was so enamoured with the Causeway, he put it on screen. The result won Discover Ireland’s “Jump Into Ireland” video competition. Giant or science? Maybe you should check it out for yourself.